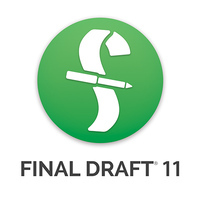 Get your copy of Final Draft® 11 from The Writers Store, the Industry's #1 screenwriting software source for over 30 years, and you'll receive free installation support, as well as peace of mind knowing that your purchase is backed by our 30-day money-back guarantee. Plus, you'll have ongoing access to your download and serial number through your Writers Store account. When you're ready to write a screenplay, you want only the best screenwriting software to help you get to from initial concept to FADE OUT. That's why you need the all-new Final Draft 11, the number-one-selling software designed specifically to write scripts for film, television, and theater. Final Draft automatically formats and paginates your script to Industry standards with just two simple keystrokes. Final Draft 11 retains all of its studio-tested features used by Hollywood giants like Tom Hanks, J.J. Abrams, James Cameron, and Aaron Sorkin, while setting new benchmarks in performance and ease of use. With Final Draft 11, you'll enjoy many new and improved features, plus a fresh look and feel for both Mac and Windows users. No longer do you have to "find and replace" to change a character name - Final Draft will globally change a character's name in script elements like dialogue and action while retaining the proper casing. The change in name will include all metadata, such as SmartType lists and the Navigator. Planning a table read of your screenplay? Character Highlighting will come in handy to easily distinguish all characters' dialogue. It's also a great feature for tracking a character's dialogue to see if he is being too verbose or too shy. Final Draft is going green, giving you the ability to distribute your script electronically with the colored revised production pages. When you export to PDF, revised pages are a solid Blue, Pink, Yellow, Green, etc. When you're working in an FDX file, the revised page will have the revision set's color on the left and right borders only. Writing in clean white is easy on the eyes, but there will be no doubt as to which revision set you're working in. Each FDX file maintains its own correct paper size (either A4 or US Letter) no matter where it's opened. Checking your work has never been easier - SmartType list words are automatically integrated in the spell-checker, which features more than 300 new words. Additionally, the thesaurus is located in the context menu, so a right-click will give you alternative words to help make your description as vivid as possible. Mac users will benefit from the convenience of distraction-free writing in full-screen mode, as well as Retina display compatibility. Additionally, Mac's built-in dictation feature works with Final Draft, allowing for hands-free writing that's as fast as your ideas. The Final Draft 11 user has the option to select the Windows ribbon look, with special buttons, backgrounds, and menus, or enjoy the same experience they've come to love by switching back to Classic mode. 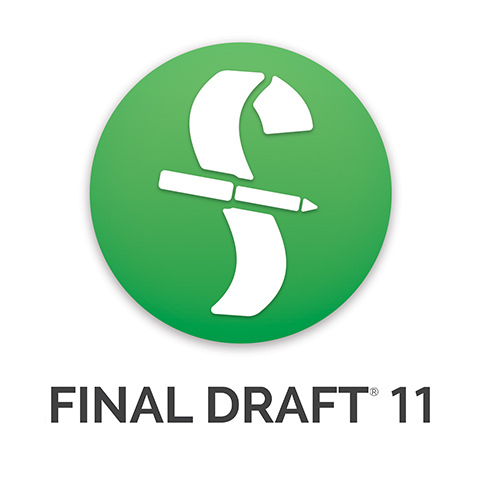 You can install and start using Final Draft in minutes due to the easy-to-use Tab and Enter functionality, which formats the script's elements to Industry standards. If you prefer keyboard shortcuts and macros you're already used to, Final Draft allows you to customize your workflow for your writing needs. Production companies and studios need consistent page counts when they're budgeting a script. Final Draft uses its own Courier font to ensure identical pagination on Windows, Macintosh, and the iOS (iPad). In addition to the standard templates that are included in the software package, the Final Draft Template Library is updated regularly and allows registered users to download over 100 classic and current television shows, screenplay, stage play, and graphic novel templates. This writing tool checks your script for common formatting errors, such as missing dialogue, extra spaces, carriage returns, and blank elements. You can set it to run every time you print or only when you want it to. Have Final Draft read your script read back to you. You can even assign different voices to your characters! It's like having a live script reading inside your computer. Like most writers, you probably need to keep a lot of ideas at the front of your mind while you're writing. With the Panels system, you can split your screen into separate panels and view your script pages in one panel while you view another section of the script or your Index Cards, Beat Board or Scene View in the other panel. Track the progress of your writing goals with the Statistics report, which checks how much content you've completed in a writing session. You can also track things such as how often Character A interacts with Character B. If you're working with multiple drafts, it's important to make sure you're editing the correct one. With the Workspace preference, you can have Final Draft open all the files you had open in your last session, in the correct order. Scene View gives you a high-altitude look at your script so you can move scenes around to further refine your story. Insert new scenes easily and hide or show information important to you, such as the scene's action, title, and summary. Assign colors to each scene by any criteria, such as storyline, character, location, time of day, and more. Print your scene view or simply view it alongside the script. With just a double-click you can sync the script to instantly go to any scene you've selected. Final Draft has double-sided cards that display the script's scene on one side and the summary on the other. The summary view allows you to enter text directly into the index card - plot points, notes, sequence or act markers, comments, locations, blocking - anything you need to build and organize your story. These notes sync with the Scene Navigator, so any information you add there will automatically appear on the corresponding card. Select and rearrange multiple cards at once to reorder your scenes. Print your index cards directly on 3x5 or 4x6 cards for use in the "traditional" way, if you want to visualize and organize scenes outside of the application. Double-clicking on a card in split-panel view will automatically sync the scene selected with your script page. Final Draft offers several ways to manipulate the page count, if necessary: paragraph leading, global line spacing adjustment, global and local indent adjustments, and page margin settings. "Final Draft makes it possible to simply imagine the movie in script form." Tom Hanks - Writer / Director / Producer / Actor / Academy Award® and Emmy® winner The Da Vinci Code, Forrest Gump, That Thing You Do! "You can't win a race without a champion car. Final Draft is my Ferrari." "Even if you don't own a computer, I recommend buying Final Draft." "I think you've finally reached the apex with Final Draft." "I've tried a variety of scriptwriting software and Final Draft is without question my favorite." "The intuitive ease of Final Draft allows the writer to focus on what's truly important - story."